Welcome. 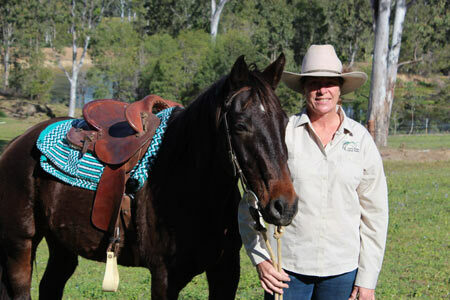 My name is Deborah and I am the owner/operator of Curra Ridge Horse Rides. Curra is located 15klm north of Gympie, Qld. I have owned this property for 4 years and have been running horse rides for just under 3 years. I have really enjoyed the company and stories of the guests that have already been on my property and enjoyed what I have to offer. I have realised that everyone wants something a little bit different and that is OK. If I can make your experience on Curra Ridge a memorable one, then let me know. If you go through my website, you will see what I have to offer. I hope you find something that you have always wanted to do…so, just come out here and do it. My aim is to allow people to enjoy the country as much as I do. Whether it’s riding a horse, seeing the farm animals, bird watching, bush waling or “glamping” and enjoying the evening camp fire….please come out to my place and be my guest. Hope to see you out here soon.